This Saturday: an emergency relief international track meet at Newtown Park, 5-6:30pm. Although entry to the event is absolutely free, The Salvation Army will be collecting donations for the earthquake relief appeal. 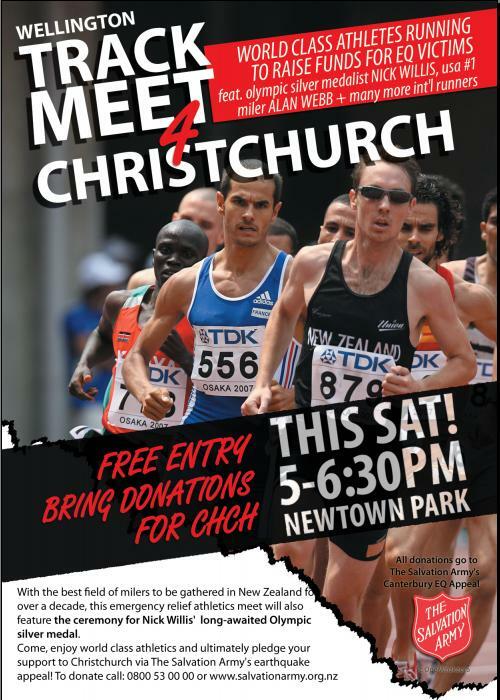 The meet will feature perhaps the best line up of international milers seen in New Zealand for decades and will also play host to the presentation of Nick Willis’ Olympic silver medal. NB: How to donate to various appeals is here.